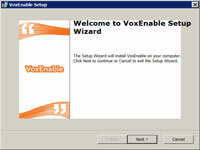 1Download the files at VoxEnable to your desktop or wherever you like to put installation files. Make sure that Dragon NaturallySpeaking is already installed on your computer before you install the LifeStyle Speech Pack. 2Double-click the icon you just downloaded. 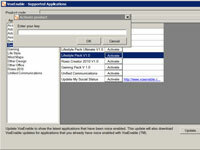 The application starts and you see the screen shown. You’ll be asked whether you want to create shortcuts. 4Click the boxes of the shortcuts you want and click Next. You’ll be asked to accept the terms of the Licensing Agreement. 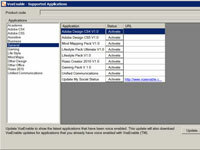 5Click the Accept box and click Next. 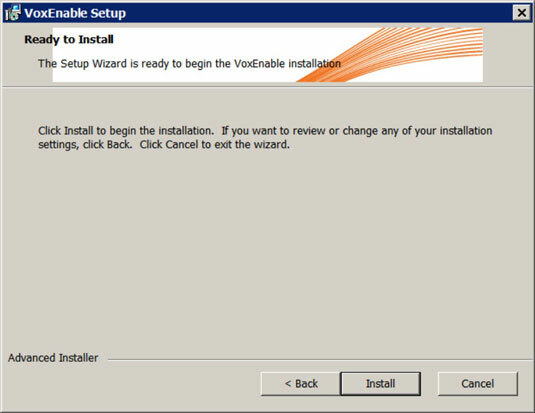 You’ll see the Install screen. 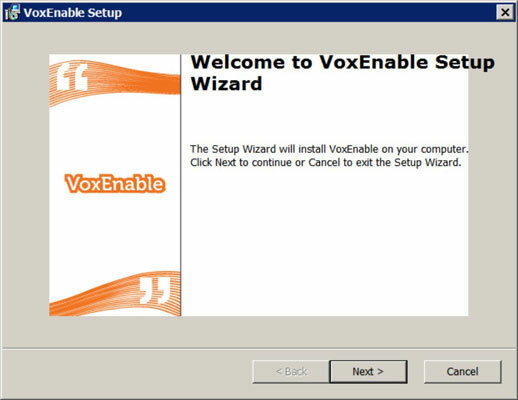 7When you see the Install Complete screen, click Finish. 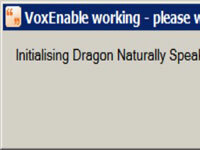 A screen pops up and says that Dragon NaturallySpeaking is being initialized. Here comes the tricky part. 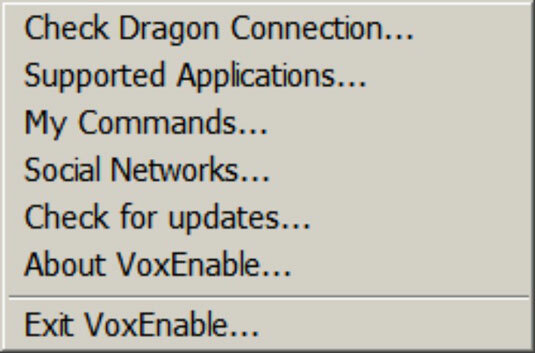 8Right-click on the VoxEnable icon that is now in your system tray. You see the choices shown. You see the screen shown. Choose General in that list. 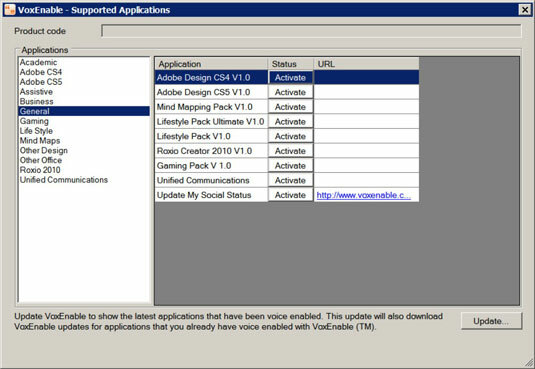 10Click the Activate button next to Lifestyle Pack V.1.0. 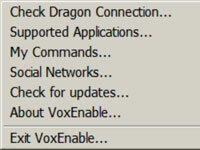 When you click the button, a prompt box opens. 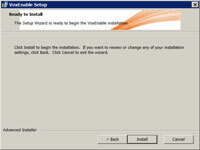 11Type in your activation code and click OK.
You see a screen that says you have successfully activated the program. You did it. Now get on to the serious business of playing songs!